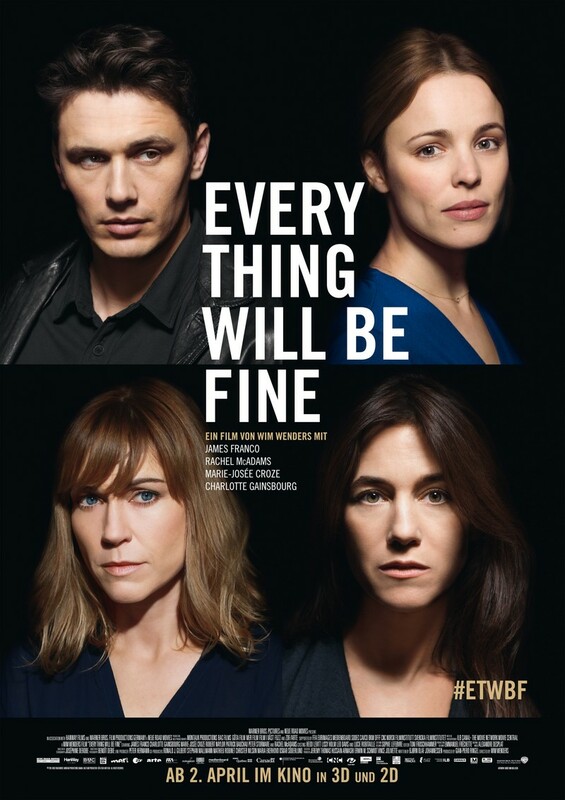 Every Thing Will Be Fine DVD and Blu-ray release date was set for June 7, 2016. A writers gets into an argument with his girlfriend and goes out for a drive to collect his thoughts. While wandering randomly, he unintentionally strikes and kills a young boy. The accident leaves a deep mark on his psyche. He is tortured by his memories of the incident and strives to make sense of the senseless mishap. Despite his struggle to rebuild his life and sense of sense, he remains tormented by guilt many years later and sees himself as a murderer.